Jimmy's Knit Club features yarn that we LOVE, hand-picked from our extensive stash by the experts at Jimmy Beans Wool! Each 3-month progressive project includes a printed pattern, designed (or reimagined) exclusively for Jimmy's Knit Club! Enjoy early access to new Just at Jimmy's products, a free shipping coupon for every month of your subscription, and exclusive access to our new help hotline, Fiber Friends! Treat yourself to an ongoing monthly subscription starting at $20.00 (shipping included!) for our U.S. customers, or pre-pay for a 3, 6, or 12-month gift subscription. Ships between the 6th and 10th of each month! 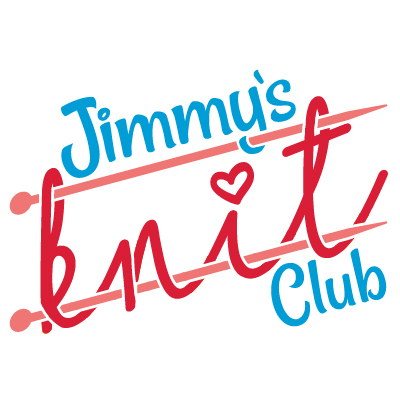 EXTRA Jimmy's Knit Club Perks: Early access to new Just at Jimmy's products (before anyone else! ), a free shipping coupon for every month of your subscription (good towards any order! ), and exclusive access to our new, appointment-based help hotline, Fiber Friends (talk to an expert knitter about anything and everything knitting-related)! View previous 2018 Beanie Bag projects. View previous 2018 Big Beanie Bag projects.